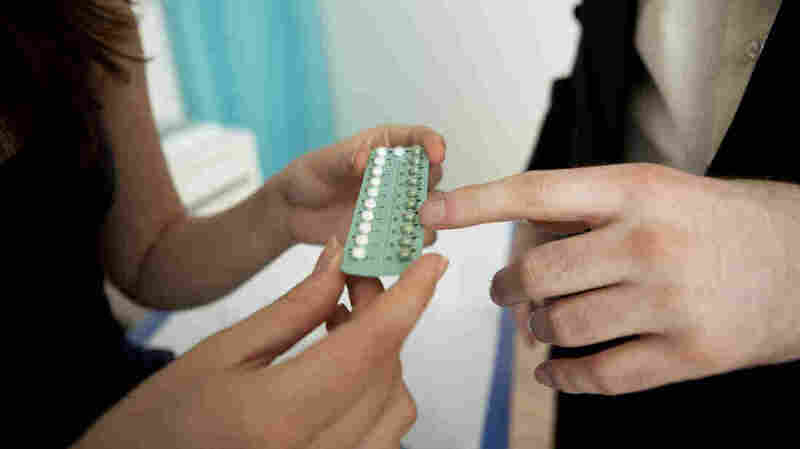 Study: Insurers Fail To Cover All Prescribed Contraceptives : Shots - Health News An analysis of health plans in five states found limited or no coverage for some forms of contraception. Insurers sometimes imposed copays or required women to pay the full cost of the contraceptives. 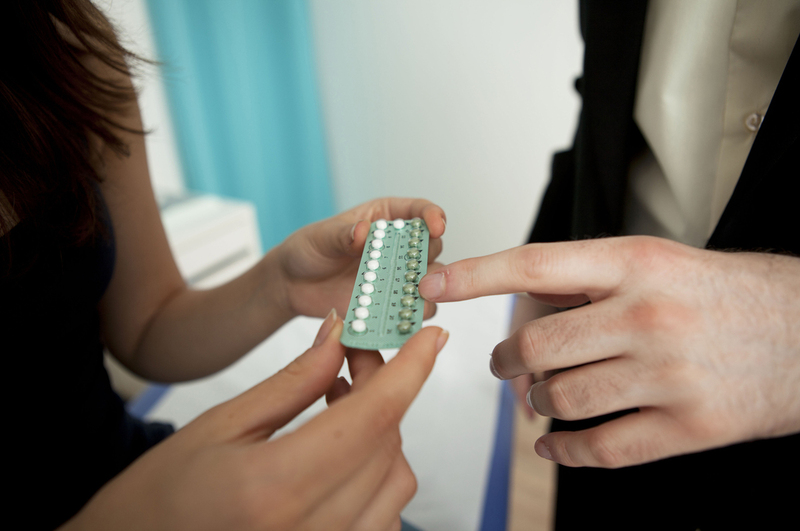 Will the health plan pay for the contraceptives the doctor prescribes? Some women may be paying hefty fees for birth control pills, vaginal rings and emergency contraception, despite a federal requirement that insurers pay their full cost. And some women only have coverage for a less effective type of emergency contraception, according to a report released Thursday by the Kaiser Family Foundation. The analysis looked at 20 health insurers in five states and found companies that provided limited or no coverage for some forms contraception. In some cases, the insurers imposed copays or required women to pay the full cost of a drug. For example, seven insurers didn't pay the full cost of vaginal rings, and one company does not pay for ParaGard, the only nonhormonal IUD available to women. It can cost up to $1,000. "That's a flagrant violation of the law," says Gena Madow, a spokeswoman for Planned Parenthood. Nevertheless, Planned Parenthood said the study revealed many positive trends. "Many plans are meeting the law and covering the full range of contraceptive methods with no cost sharing and no medical management restrictions," the group said in a statement. "However, the report also shows that stronger enforcement of the birth control benefit is critical." Consider the case of ella, an emergency contraceptive. A recent study found that the pill could be more effective at preventing pregnancies than Plan B, the traditional and more widespread emergency contraceptive, particularly in heavier women. Despite that finding, the Kaiser study showed that several plans still only cover Plan B, meaning women may face a difficult choice: get a less effective emergency contraceptive free, or pay for a better one. America's Health Insurance Plans, an industry trade group, says insurers aren't doing anything illegal because federal guidelines give them some latitude. "The guidance makes clear that plans do not have to cover every single form of birth control," says Clare Krusing, a spokesperson for AHIP. Krusing says the guidance makes clear that insurers can use "reasonable medical management" techniques to limit costs, such as requiring patients to pay co-pays for brand name drugs, when lower-cost generic versions are available. "If health plans were required to cover every single kind of contraception, premiums would become more expensive, and insurance plans would risk becoming unaffordable," she says. Insurers offer an appeals process, Krusing says, so that women can get special coverage for contraceptives prescribed by their doctors that don't happen to be on health plans' preferred lists, or formularies. But Planned Parenthood says the insurers aren't, in fact, meeting guidelines laid out by the Institute of Medicine, Centers for Disease Control and Prevention and Department of Health and Human Services. The group says it is asking the government to make sure that insurance companies comply with the law.